Some of the most profound and enlightening experiences a student can have in high school involve authentic encounters with industry professionals. On rare occasions, a partner-in-education extends its influence far beyond a surface effect — and the results for students can be life-altering. One such opportunity has unfolded for the students in the Concepts of Engineering class at Mount Paran Christian School. Win-Tech, Inc. is a certified Precision Machine Shop located 3,000 feet, as the crow flies, from where MPCS students study engineering. 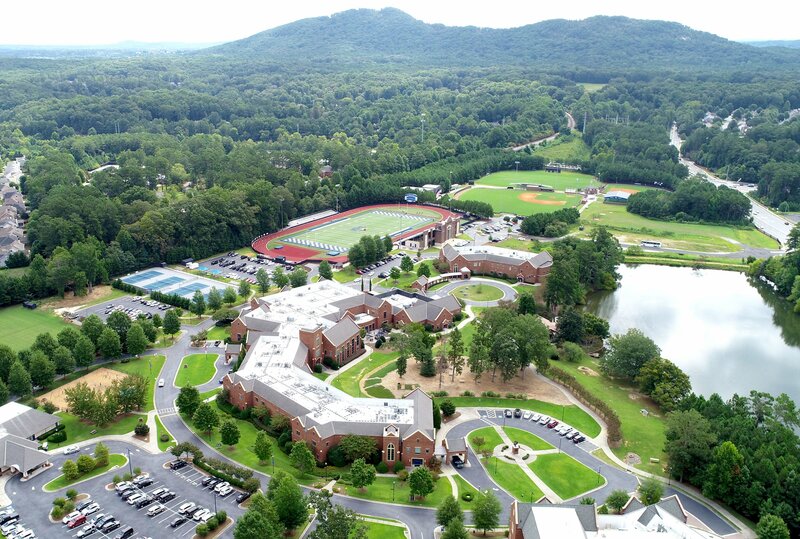 Owner Dennis Winslow has made a strategic commitment and investment to ensure that a unique and precious educational opportunity is just as proximate to our students. Each fall, Win-Tech hosts a field trip for MPCS students in engineering classes and Eagle Robotics team members. In conjunction with “Manufacturing Day,” students from all over the Atlanta area are privileged to tour the Win-Tech facility and observe the machining, tooling, and quality control methods that are a vital part of the manufacturing industry. Much more than a tour was in store for MPCS students this time. Big ideas often start as little ones, and this one was destined to flourish. It was a YouTube video that first provoked our imagination. 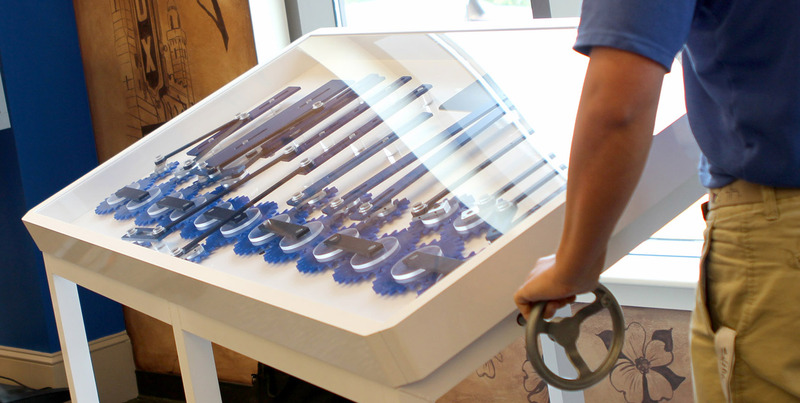 It can still be seen on the channel belonging to Dale Dougherty, founder of the Maker movement and Maker Faire, and is simply titled “Gears in Motion.” The video shows a working display of interacting, rotation gears attributed to retired machinist Pat Conkle, and on exhibit at the Kansas Technology Center of Pittsburgh State University. Witnessing it provokes a sort of intoxicating visual experience that draws you in as you see it operate. STEAM in the MPCS high school includes CAD/CAM in the Engineering Concepts class. 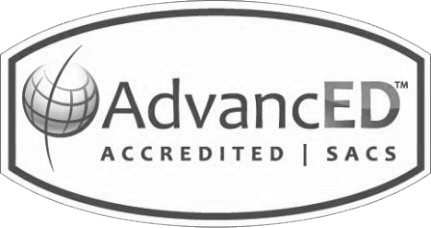 Students are trained in 3D design software and groomed for the Certified SolidWorks Associate exam, an industry certification. 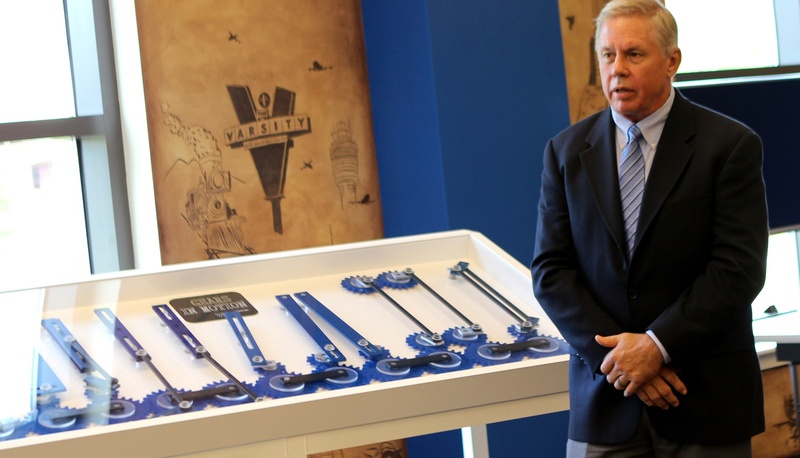 Armed with the "gears" file from a Brazilian mechanical engineering student along with the video, students modified the design, adding an interactive, human-powered drive system, and reworked the entire project to reflect MPCS school colors. Initially, students thought that this was only a project in virtual reality but more was in store. 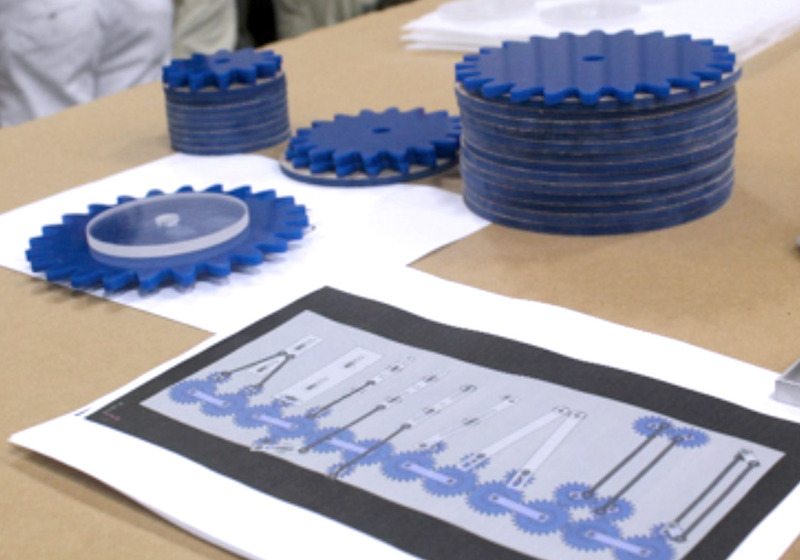 Win-Tech would actually manufacture the Gears in Motion project from the MPCS student design. The CAD design called for a museum-quality piece that was nearly six feet long and three feet wide. Win-Tech was able to manufacture it to the original scale. 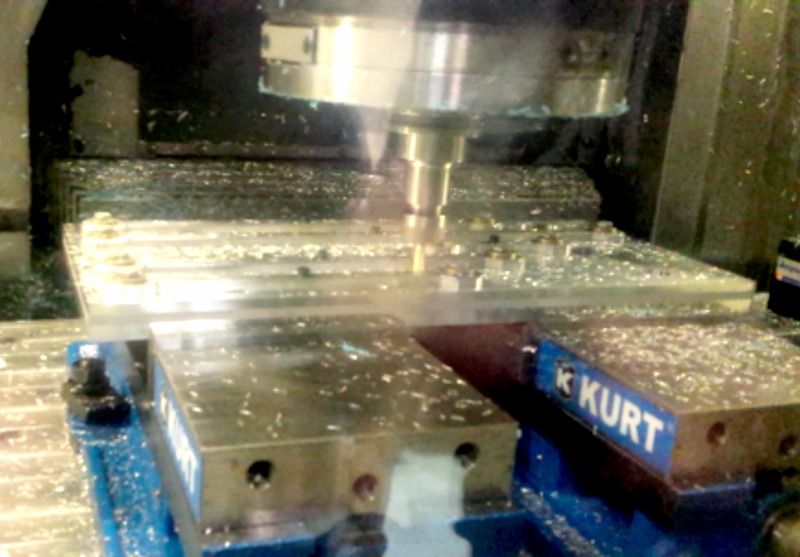 When students arrived to their annual Manufacturing Day tour, they were greeted with the surprise of a large table of parts and pieces – machined, milled, and water-jetted to their own specifications, and stacked neatly next to their own CAD design. They were ecstatic and intrigued, especially since part of the tour included seeing some of their own parts being manufactured. Over the next few months, parts were completed and test fitted. Gear tolerances ranged near one ten-thousandth of an inch. Later came finishing in a round of polishing, anodizing, and painting. Safety features were added. Assembly was completed. An operational work of art emerged. A conversational centerpiece born out of Science, Technology, Engineering, Arts, and Math had come together in an aesthetic, harmonious balance. This student-designed device built for teaching and learning begs you to touch, turn, and set it in motion. It is STEAM. And it reflects authentic, durable, real-world learning. Brad Smith serves as STEM/STEAM Coordinator, Physics and Engineering Teacher, and Eagle Robotics Team Head Coach at Mount Paran Christian School. Click here for additional information about Win-Tech, Inc.
To learn more about academic rigor in a Christ-centered environment, please click here.